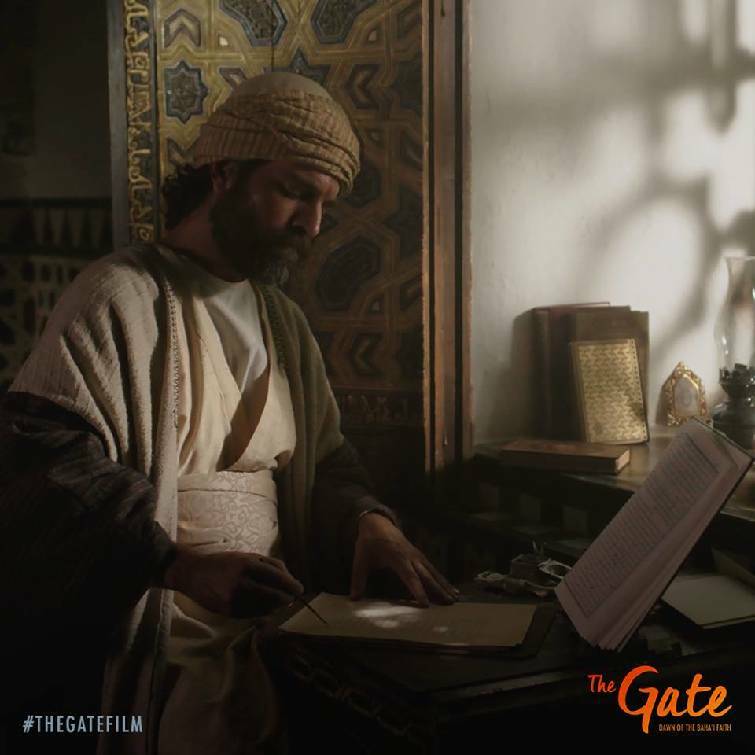 "The Gate: Dawn of the Baha'i' Faith"
The story of the Baha'i' faith is told in "The Gate" through dramatic reenactments and interviews with historians, lawyers, scholars, actors, musicians and artists. The documentary “The Gate: Dawn of the Baha’i’ Faith” will air at 1 p.m. Sunday, May 13, on WTVC NewsChannel 9. Chattanooga Baha’i Center, 2405 Hamil Road in Hixson, holds weekly worship at 10:30 a.m. Sundays. For more information, call 423-870-9164. The first feature documentary on the founding of the Baha'i' faith premieres nationwide this weekend. "The Gate: Dawn of the Baha'i' Faith" will air in Chattanooga on WTVC NewsChannel 9 at 1 p.m Sunday. For many people, the film will introduce the Baha'i' faith. Mary K. Radpour, a member of the local Baha'i' congregation, will be among those watching. The Baha'i' faith is a religion that teaches God is one, man is one and all the religions are one, she says. "That's the song we teach our children. There is only one God, and all of the world's religions are from the same Divine source. That they are many religions is a part of God's plan." She explains there is fighting between religions like Islam and Christianity because the faiths are like brothers who don't realize they're from the same family. "Our vision for today is that we have the capacity and the teachings to transform humankind, to change the whole planet. We recognize the teaching, that it transforms us and then how we act in society transforms society," says Radpour. The film combines dramatic reenactments with interviews with historians, lawyers, scholars, actors, musicians and artists, among others. Actor Rainn Wilson, who played Dwight Schrute in the television show "The Office," discusses how the faith affects his life in the documentary. Dr. Joy DeGruy, author of "Post Traumatic Slave Syndrome," and Nader Saeidi, professor of Baha'i' studies at the University of California, Los Angeles, will be among academics discussing the faith in the film. The documentary is directed by Peabody Award-winning filmmaker Bob Hercules, who directed "Maya Angelou: And Still I Rise" and "Forgiving Dr. Mengele." The local Baha'i' congregation includes about 100 people, according to Radpour. They meet at the Chattanooga Baha'i' Center at 2405 Hamill Road at 10:30 a.m. Sundays. The first public mention of the Baha'i' Faith in America came when the Rev. Henry Jessup addressed the World Parliament of Religions during the 1893 World's Fair in Chicago. It was some 47 years later in the 1940s when Ruth and Albert James organized a Baha'i' congregation in Chattanooga. They traveled from Memphis to Atlanta sharing the Baha'i' belief and building congregations. The current Baha'i' congregation in Chattanooga has been around since the early 1970s. The group was incorporated in 1975. Find more information on the documentary at www.thegatefilm.com.